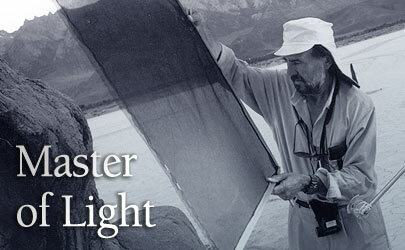 Vilmos Zsigmond, ASC shares some thoughts about the art and craft of motion-picture lighting. For years, director of photography Vilmos Zsigmond, ASC has made a point of sharing his knowledge about the art of lighting with aspiring cinematographers. His creative legacy began with films he shot in his native Hungary during the 1950s, and he has si nce blazed new trails in cinematography with his work in McCabe & Mrs. Miller, Deliverance, The Deer Hunter , Heaven’s Gate and Close Encounters of the Third Kind (for which he earned the Academy Award). His filmography also includes a number of small gems such as The Sugarland Express, Blow Out, Scarecrow and Images. His latest picture, Woody Allen’s Melinda and Melinda, is scheduled for release later this year. Zsigmond believes that the art of motion-picture lighting faces new challenges in the Hollywoo d of today. He observes that in the high-budget realm, the value placed on major stars and first-weekend grosses can reduce the time and resources allocated to creating a mood visually, and in the low-budget world, filmmakers often focus on acting and stor y to the exclusion of artistic lighting. Yet Zsigmond remains optimistic because of the young people he sees at the many lighting seminars he teaches  budding filmmakers who are as eager to learn about the art of lighting as he was in his youth. Every tw o years, he teaches a two-week seminar in Hungary that brings together 16 students and about 20 observers from Europe, Asia, South America and North America. Zsigmond recently sat down with AC to discuss the state of his art. American Cinematographer: You say some in the film industry value good lighting less than they once did. Why do you suppose that is? Vilmos Zsigmond, ASC: This is a very interesting subject today, especially because of some of the advances in digital photography. People talk abou t technology where you turn on the camera and it can capture some kind of image even in darkness. When producers hear that, some of them start to think a cinematographer doesn’t have to light it  doesn’t have to do anything. And that’s absolutely wrong. N arrative moviemaking isn’t the same as documentary filmmaking. In a documentary, it can be best to use no lights or limited lights. You shoot the reality. It doesn’t necessarily have to have a mood. But when you’re telling a story with actors and a script, a certain look, a mood, is part of that. And you have to create that look. You have to light for that look. So are the technological advantages that allow you to use less light a bad thing? Zsigmond: It depends on how they’re used. We have much faster f ilm stocks and lenses than we used to. On McCabe & Mrs. Miller , I think we worked with an ASA of 50. Back then, you had to know a lot about lighting just to get enough light on the scene to expose the film. We had to use big lights like 10Ks just to do a s cene that was supposed to be lit by candlelight! Today, you can do that scene with much smaller lights and be more flexible; you might be able to use a real candle and an Inky-Dink, for example. You can work with just a few footcandles today, and that allo ws us to be more artistic and do a better job of creating mood. But the danger is that some people think you can skip that part of the process. Yes, some might say that if you can use a few practicals, even candles, you don’t need to bring in other lights . Zsigmond: You always want to augment [practical] light, except in the rare case when you’re shooting an exterior and the light is perfect for the scene. Then I say, ‘I’m not going to try to improve on God’s lighting.’ But in most cases, you have to add something . Even with today’s film stocks and lenses, you can’t simply photograph the real thing and have it look real onscreen. If you just use available light from a candle, you have to open up the lens so much to expose for the actors’ faces that the can dlelight just blows out. And by the way, today’s digital technologies can’t handle that kind of situation as well as film. But even with film, it still wouldn’t look real with all of the light sources blowing out. In order to make something look on film the way the eye sees it in real life, you have to use light creatively. The eye sees deep into darkness and far into highlights. No film or digital technology can ‘see’ the way the eye sees, so cinematographers must know how to light to create that impress ion. And that’s just the beginning of what lighting can bring to a film. Zsigmond: Right. I used to call what we do when we light for movies ‘poetic realism.’ A scene should look real, but it should also have poetry. When we light something in a movie, w e sometimes want it to look better than life. Sometimes we want to exaggerate a little bit to get the point across. We might make early-morning sunshine coming through a window extremely light, even sparkling. On its own, the eye probably wouldn’t see that light that way, but perhaps we want the audience to not just see the brightness, but also feel it. When you light to tell a story, you don’t want to simply duplicate what the eye would see in that situation, you also want to create a feeling. We all see a lot of detail in shadows, but when cinematographers light a dark scene, we often let the shadows go completely black. Would all the detail the eye sees be more interesting than exaggerating the feeling of darkness? So you want your lighting to improve o n reality?